Very modern Gargoyle "Manneken Pis"! The Gargoyle has a hose connection and can easily be connected to the pump. 45.5 cm Gargoyle "Manneken Pis" from Polyston. Gargoyle "Manneken Pis" Hose connection: 9-13 mm. Very modern Gargoyle "Manneken Pis" as hell. "Manneken Pis" differently. 45.5 cm Gargoyle "Manneken Pis" as hell from Polyston. Gargoyle "Manneken Pis" The Gargoyle has a hose connection and can easily be connected to the pump. Gargoyle "Frog" for solar and garden pond pump with hose connection! The Gargoyle has a hose connection (9-13 mm) and can easily be connected to a pump. 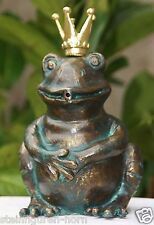 Gargoyle "Frog" Information on Gargoyle The character of "Frog" is made of polyresin in bronze antique-look and therefore light and resistant. 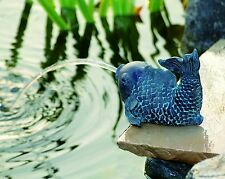 Gargoyle "Fish" for solar and garden pond pump with hose connection! The Gargoyle has a hose connection (9-13 mm) and can easily be connected to a pump. Information on Gargoyle Gargoyle "Fish" Hose connection: 9-13 mm. 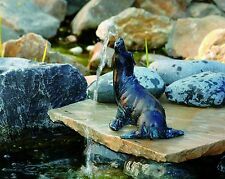 Gargoyle "Seal" for solar and garden pond pump with hose connection! The Gargoyle has a hose connection (9-13 mm) and can easily be connected to a pump. Information on Gargoyle Gargoyle "Seal" Hose connection: 9-13 mm. 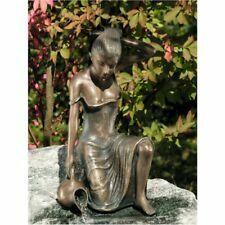 This item is made of bronze and is very resistant to weathering. The material is frost resistant and does not need to be treated. Material Bronze. More Links. 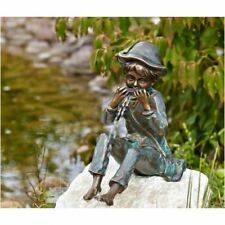 48cm-large Gargoyle "Yannick" for solar and garden pond pump with hose connection! Gargoyle "Yannick" The Gargoyle has a hose connection (9-13 mm) and can easily be connected to a pump. Information on Gargoyle. 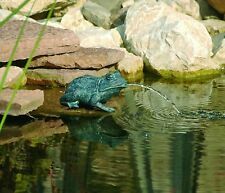 21.5 cm of large Gargoyle "Frogs" for solar and garden pond pump with hose connection! Gargoyle "Frogs" The Gargoyle has a hose connection (9-13 mm) and can easily be connected to a pump. Information on Gargoyle. This item is made of bronze and is very resistant to weathering. The material is frost resistant and does not need to be treated. Material Bronze. More Links. Höhe ca. 10 cm. 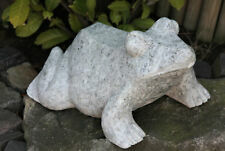 20.5 cm of large Gargoyle "Frog" for solar and garden pond pump with hose connection! The Gargoyle has a hose connection (9-13 mm) and can easily be connected to a pump. Gargoyle "Frog" Information on Gargoyle. This item is made of solid cast stone and is very resistant to weathering. The material is frost resistant and does not need to be treated. All products are made by professional manufacturers from around the world. 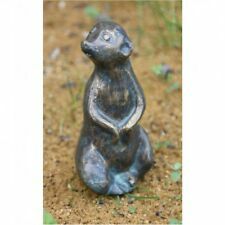 This item is made of bronze and is very resistant to weathering. The material is frost resistant and does not need to be treated. Material Bronze. More Links. Depth about 18 cm. Also as Gargoyle since it a hole has 1 cm. Green polished granite stone with a grain. This item is made of granite and is very resistant to weathering. The material is frost resistant and does not need to be treated. FineCrete may replace marble also with regard to aesthetics. COLOUR ARCADIA. FineCrete® water resistance - 0 mm penetration of water in the material, 24 hours water flow with a pressure of 0.8 MPa. They are supplied without any accessories and decoration. White,Greenery and red. Very modern Gargoyle "Manneken Pis"! "Manneken Pis" differently. 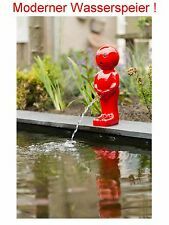 45.5 cm Gargoyle "Manneken Pis" from Polyston. Gargoyle "Manneken Pis" The Gargoyle has a hose connection and can easily be connected to the pump. This item is made of bronze and is very resistant to weathering. The material is frost resistant and does not need to be treated. All products are made by professional manufacturers from around the world. 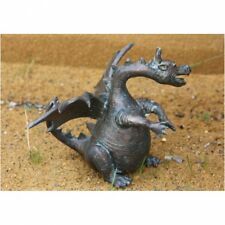 This item is made of bronze and is very resistant to weathering. All products are made by professional manufacturers from around the world. The material is frost resistant and does not need to be treated. It was manufactured by us of concrete, for use in the outdoor area. 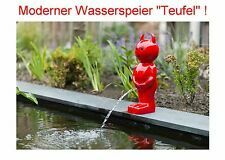 : 150-Wasserspeier1B - also from stucco produced ! The product was manufactured in German manual work. The complex processing is reflected lovingly to the last detail. Very modern Gargoyle "Manneken Pis"! "Manneken Pis" differently. 45.5 cm Gargoyle "Manneken Pis" from Polyston. Gargoyle "Manneken Pis" The Gargoyle has a hose connection and can easily be connected to the pump.